Our learning during the Spring Term will have an overarching theme of Sustainable Development, and will be based around our core texts: ‘The Last Wild’ by Piers Torday and ‘Into The Wild’ by Michael Morpurgo. We will use these inspiring novels to explore various areas of the curriculum and the global learning goals in an exciting and creative way, giving our pupils opportunities to grow and develop via relatable experiences that will allow them to reflect on their own impact on the environment and how their current decisions can alter the future of the world. Over the first half term in English, we will be developing our persuasive writing. As we read our core text, ‘The Last Wild’, we will be building an awareness of the environment, the relationships they create and the choices they make by writing a persuasive letter, based on key events in the story. We will be looking at how persuasive language and sentence structure have an effect on a reader. During the second half term, we will be learning the skills required to write a newspaper report. In Maths, we are focusing on developing our understanding of area, perimeter and fractions. We will then apply our knowledge of these methods to solve a range of real-life problems. 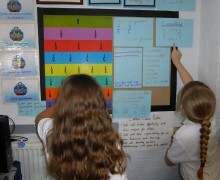 In the second half of the Spring term, we will move our learning on to decimals and percentages. In Science, our topic will be continuing Animals Including Humans. We will be investigating the gestation period of different animals and planning and evaluating an experiment to see how age impacts our fitness levels. After half term, we will be learning about forces. 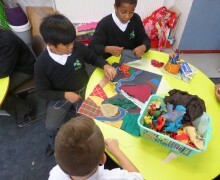 In Art, we will be creating images of stags using recyclable objects in the style of Jane Perkins. We will be using different resources for outlines, shadows and detail. Our project this term focuses on sustainable development. We will be learning about the impact of deforestation on our planet and will create documentaries explaining this. We will be using the green room and video cameras to create exciting backgrounds and scripts. In Year Five, pupils are able to change their reading book each week. Parents can support their child's learning through reading and discussing the books daily, and by giving children the opportunity to visit the local library to read about and research our topics. In line with the weekly theme, there is regular homework, which consists of Maths and English tasks, and occasional project work linked to our topic. We welcome parental involvement in the life of our school. If you are able to visit the school or help in any way, please contact your child’s class teacher. At Woodhill, we ensure that learning is planned for in a cross-curricular way; this ensures that children are able to make links within their learning and away from school. Lessons challenge all pupils through a variety of activities, providing opportunities for feedback from adults and peers. Through high expectations of everyone at Woodhill, we aspire to achieve outstanding outcomes. During the Spring Term, Year 6’s learning will be based on our two core texts: ‘Trash’ by Andy Mulligan, and ‘Gorilla Dawn’ by Gill Lewis. We will be using these enriching texts to explore sustainability. Through these texts, we will be challenging our pupils through problem solving, reasoning and hands-on learning that will result in high-quality learning outcomes. Over the first part of this term, children will continue to develop their fictional writing style as they will continue to write the narrative of the story from the starting page, creating their own story. Children will be studying differing views about development and quality of life and their measurement. They will explore the importance of sustainable solutions, bio-diversity and the wider causes and implementation of climate change. 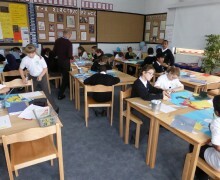 They will analyse their own and others beliefs about environmental issues, whilst keeping their mind open to new ideas. 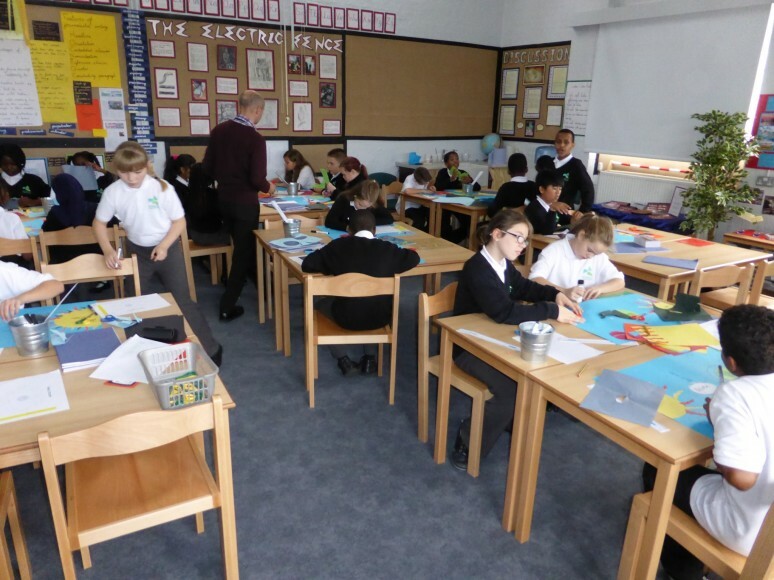 In the second part of the term, children will be writing a persuasive letter to an MP around sustainability, before writing a non-chronological report based on their sustainability learning. 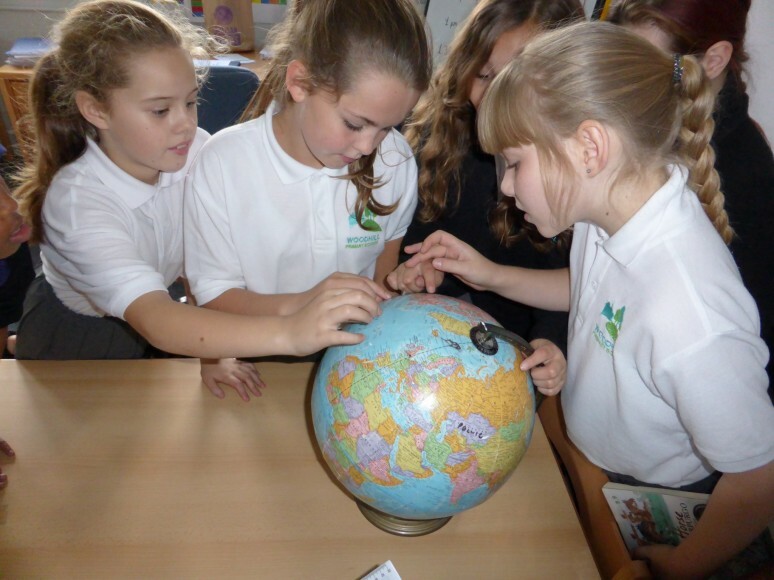 Children will be studying the importance of managing natural resources carefully to study the wider causes and implications of environmental damage – both locally and in other parts of the world. In Maths, children will be learning about ratio and applying their learning to solve various problems, including scaling and finding relative sizes of two quantities. We will also look at statistics and interpret various graphs and tables, including looking at real-life timetables. Children will also learn basic algebra this term, and use this in simple formulae, solving equations and analysing linear sequences. In the second term, we will look at further properties of shape (including position and direction), as well as solving perimeter, area and volume problems. We will also look at measurement, including common conversions, and looking at metric and imperial measurements. 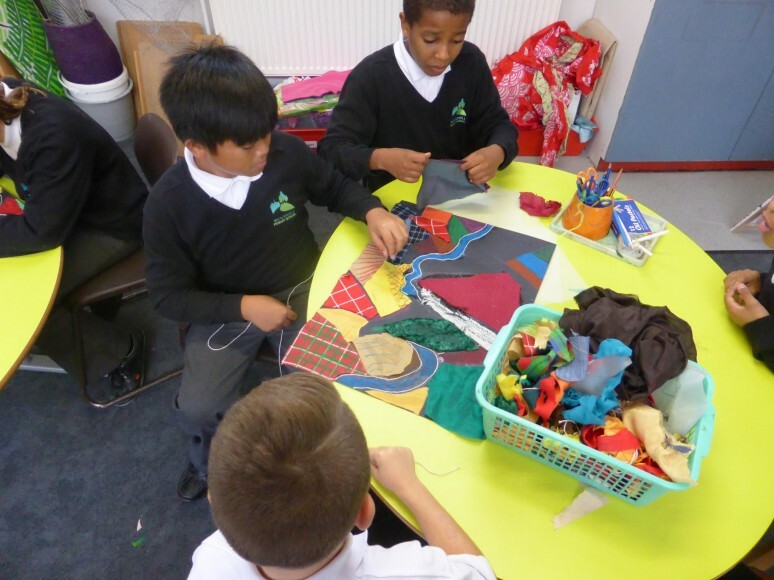 In Science, children will be exploring the topics ‘Electricity’ and ‘Living Things and their Habitats’. We will be creating our own investigation about variables that can affect electricity and its output; children will be encouraged to work scientifically as they plan, carry out and evaluate these investigations, including at how they can make a magnet stronger. The children will learn about how animals are grouped and their typical characteristics. They will then explore this concept and attempt to locate and find their own animals before grouping them. 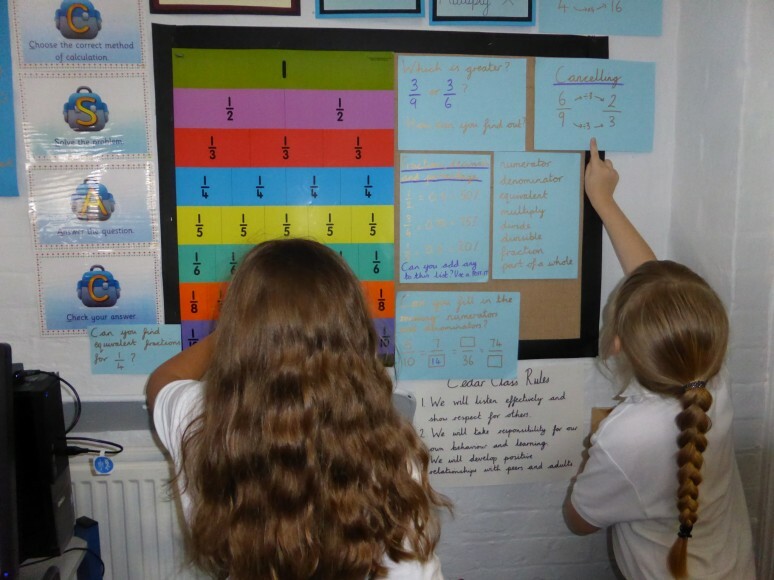 In lead up to SATs in the summer term, daily sessions will be spent sharpening our calculation skills through explicit arithmetic sessions, focusing on the four operations and fractions, decimals and percentages. Similarly, we will focus on developing our knowledge of key grammatical rules and terminology through engaging grammar sessions that will link closely with our learning in English. Children will continue to practice their French in class by learning how to have basic conversations, relating to their day-to-day routines. 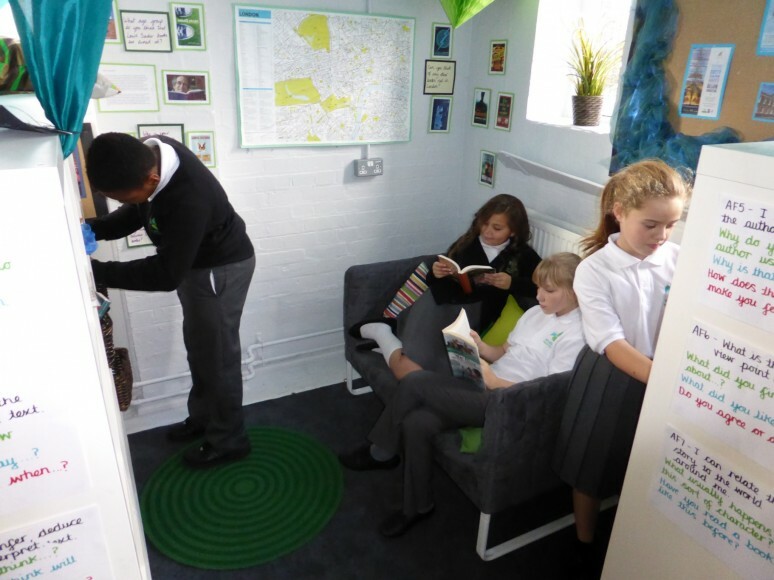 In Year 6, pupils are able to change their reading book once a week. Parents can support their children's learning through reading and discussing the books daily, and by giving children the opportunity to visit the local library to read about and research our topics. Please encourage your child to be reading for 30 minutes every night and to record their comments in their reading journals. Pupils will also be set weekly spellings homework, as well as weekly English and Maths homework via their CGP books.